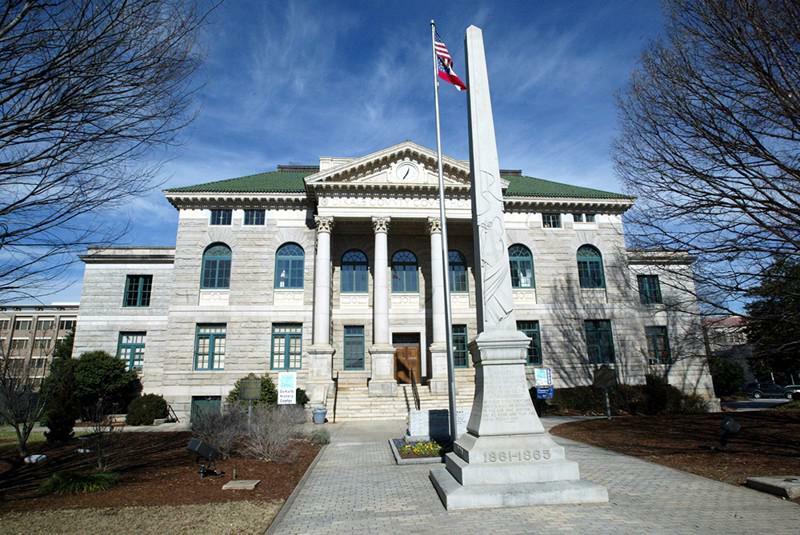 The Civil War monument at the intersection of Second Street and Cotton Avenue in Macon was erected in 1879 as a memorial to the Macon citizens who were killed fighting for the Confederacy. 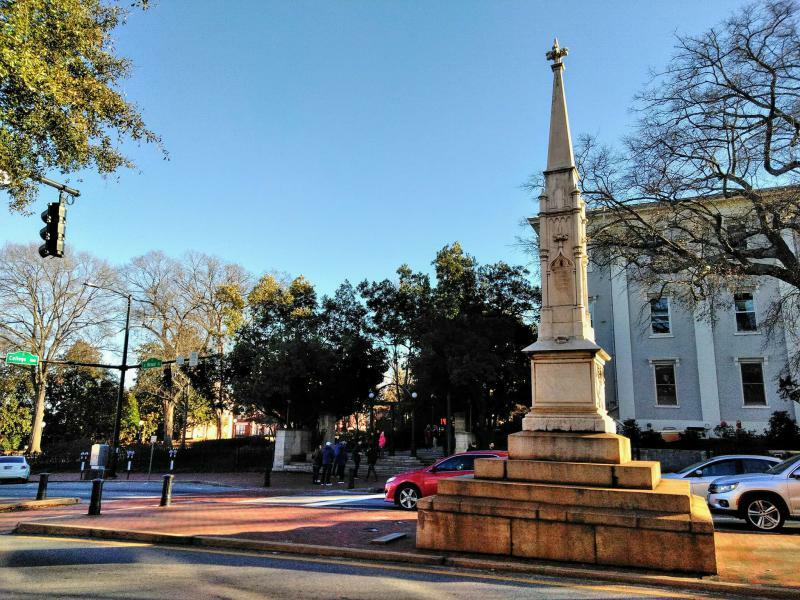 Last month, the DeKalb County Commission voted to relocate the Confederate monument in Decatur Square. But state law is tricky, and the county’s options are limited. What is the process for getting a monument successfully taken down? What legal barriers will make the effort difficult? We ask these questions with Elena Parent, state Senator for Decatur. Across the South, you find Confederate monument relics: often outside a courthouse, or in a cemetery. One of these monuments was vandalized the end of last year at historic Myrtle Hill Cemetery in Rome, Georgia. The statue featured a Confederate soldier holding a rifle. Cemetery staff found the soldier's face smashed, and its hands gone. Cemetery director Stan Rogers tells us about the long road ahead to repair it. Then, the Southern Poverty Law Center says there were two major spikes in the 20th Century for when Confederate memorials and symbols were dedicated. Elizabeth Herbin-Triant teaches the history of the Jim Crow era at the University of Massachusetts Lowell. She and Emory University professor Andra Gillespie explain why it’s important to understand not just WHAT these monuments stand for, but also WHEN they were created. And last summer, hundreds gathered in downtown Augusta to protest against a confederate statue there. The NAACP also issued a statement that calls for its removal. But some say it should stay up. One of them is Steve Oney, former Georgian and author of the book ‘And the Dead Shall Rise: the Murder of Mary Phagan and the Lynching of Leo Frank.’ Oney offers us a commentary explaining his position. We’ve talked throughout this hour about Georgia’s Confederate memorials. Now we visit one. In Athens, you almost certainly run into the obelisk downtown memorializing confederate soldiers. It sits right on Broad Street, just feet away from UGA’s famous arches. Producer Trevor Young asks Athenians how they feel about the monument in an audio postcard. Finally, when we talk about what to do with Confederate monuments, there are usually two ends of the spectrum: those who want to remove them entirely and those who want to leave them as they are. Adding more historical context to monuments might provide a middle ground, but what would that look like. Would it even solve the problem? We talk about other states’ attempts to contextualize with Anne Marshall, assistant history professor at Mississippi State University. And we hear from Dan Moore, founder of the African-American Panoramic Experience Museum in Atlanta. We’ve spent a lot of time talking about Georgia’s Confederate memorials. Now we visit one. In Athens, you almost certainly run into the obelisk downtown memorializing confederate soldiers. It sits right on Broad Street, just feet away from UGA’s famous arches. Producer Trevor Young asks Athenians how they feel about the monument in an audio postcard. What's Next For Decatur's Confederate Monument? 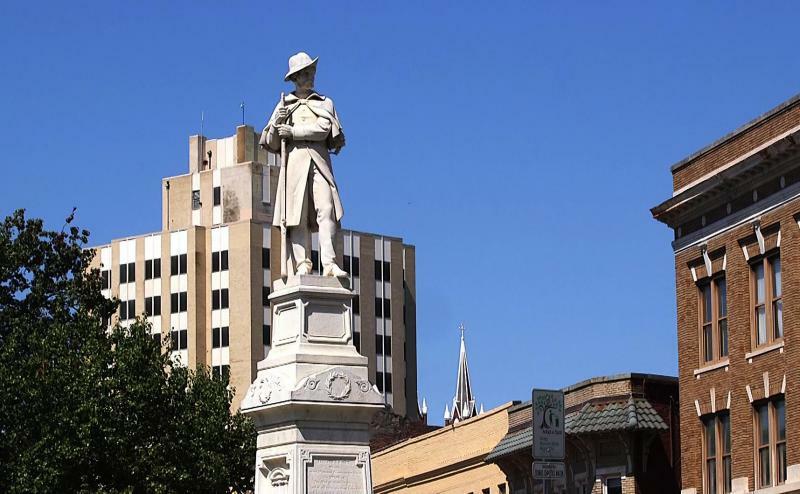 Last month, the DeKalb County Commission voted to relocate the Confederate monument in Decatur Square. But state law is tricky, and the county’s options are limited. What is the process for getting a monument successfully taken down? What legal barriers will make the effort difficult? 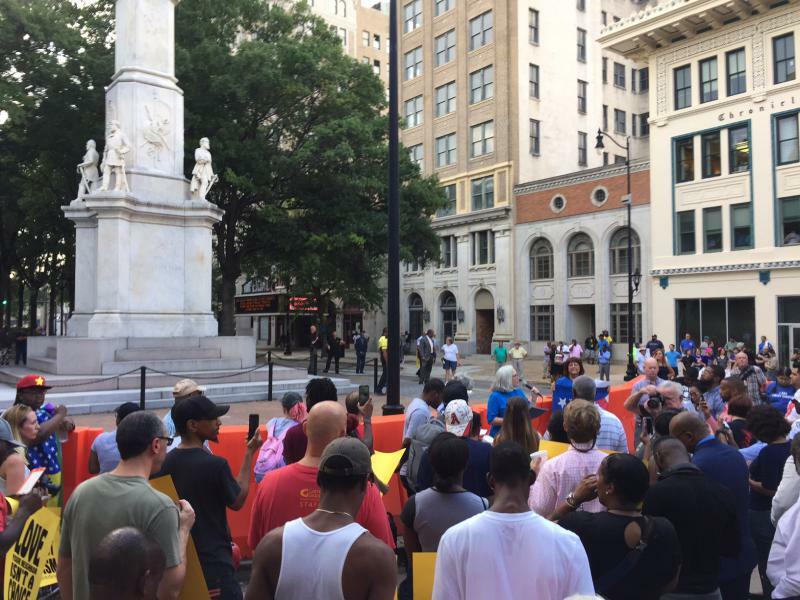 Last summer, hundreds gathered in downtown Augusta to protest against a confederate statue there. The NAACP also issued a statement that calls for its removal. But some say it should stay up. One of them is Steve Oney, former Georgian and author of the book "And the Dead Shall Rise: the Murder of Mary Phagan and the Lynching of Leo Frank." Oney offers us a commentary.